As it is described on Upload, Update, Use (Git), you can use the given URL to automatically trigger the pull and deploy of the native git module on the server. To integrate the trigger in your project you need to create a hook which sends a request to the URL. This page shows you examples how you can create those hooks with common git development providers. If you are using Bitbucket for git development of your native module, then Bitbucket provides so called Webhooks. 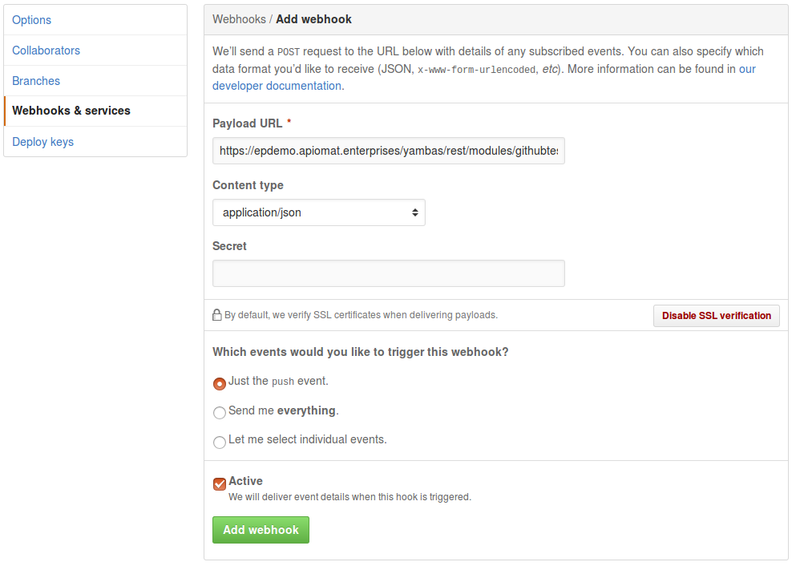 You can find the configuration in your Bitbucket project setting: [Your Project] -> Settings -> Webhooks. 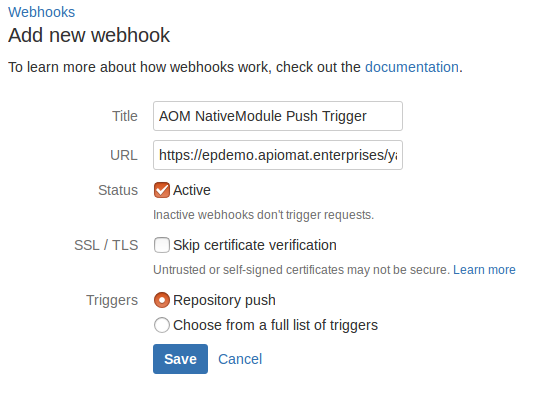 You can choose the title of the Webhook and in the URL-field you have to set the URL for triggering the pull and deploy, which is mentioned before and described on Upload, Update, Use (Git).You have to set the trigger to "Active" and as trigger option "Repository push", so that the URL is called when there is a git push event on the repository. You can now view further details on every hook event.